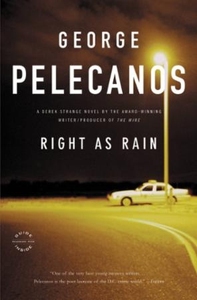 WASHINGTON POST BESTSELLER "Those in the know read Pelecanos." - Michael Connelly, #1 bestselling author of the Harry Bosch and Lincoln Lawyer series Derek Strange is black and successful. Terry Quinn is white and barely holding on. Now Strange has been hired to investigate a police shooting in which Quinn played a major role. For Strange, a savvy and careful man, the investigation goes against his style and instinct. For Terry Quinn, Strange's questions are a chance to absolve his conscience and shake out a little truth. But in a city that lives in the shadow of a nation's dream, neither man can foresee the dirty little war that will break out around them...or how deadly being right can be. The crime novels of George Pelecanos are unrivaled for their authenticity, edginess, and humanity. With Washington, D.C.-the city, not the capital-as his backdrop, Pelecanos explores a violent landscape of drugs and danger, loyalty and love.